One of the most time-consuming tasks of any project is finding the right image to make your project spring to life. You can spend countless hours scouring the Internet looking for a picture only to come up empty-handed. Adobe Stock is working to eliminate this frustration for you by offering easy access to millions of high-quality resolution images, illustrations, videos and vector graphics. Adobe Stock makes this happen by sharing its expansive collection of images with users through its creative cloud libraries. These library collections sync across any Adobe program providing designers and creative thinkers with the opportunity to place a photo, video, vector image or illustration on a project without having to exit any program. When you find an image for your project, you can pay for the license to use that photo and save it into your photo library right from the stock library screen. You also have the opportunity to try an image of interest out before making a purchase. You simply download a watermarked version of an image and try it in your project. If you are happy with the way that the image works, you have the option to purchase a clean image and Adobe Stock removes the watermark stamp once the purchase is complete. If, however, the image does not work in the way that you have in mind, just return it to the stock library without making a payment. 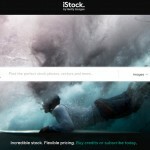 Adobe Stock provides two options for you to become a member of their photo service. You can purchase a creative cloud membership that provides access to its stock library across the Adobe application family. The price for this membership level is $49.99 per month for individuals and $69.00 per month for businesses. Purchasing access to the Adobe Creative Cloud service is optional. You may still create a membership plan by paying $29.99 per month for a standalone subscription. It provides you with access to ten images of your choice each month. When you find an image of interest, you may download it to your personal computer where you are free to use the image as you see fit. If you do not have an interest in creating a monthly membership subscription account, you may still use Adobe Stock free trial services. There is the option to make single image purchases for the low price of $9.99. It works in the same manner as the membership subscription accounts by allowing you to download an image of interest to your personal computer once the payment process is complete. With endless digital media pieces available at the touch of a button for affordable monthly prices, you should not wait another minute to start taking advantage of everything that Adobe Stock has to offer. Where to Get Blog Images?